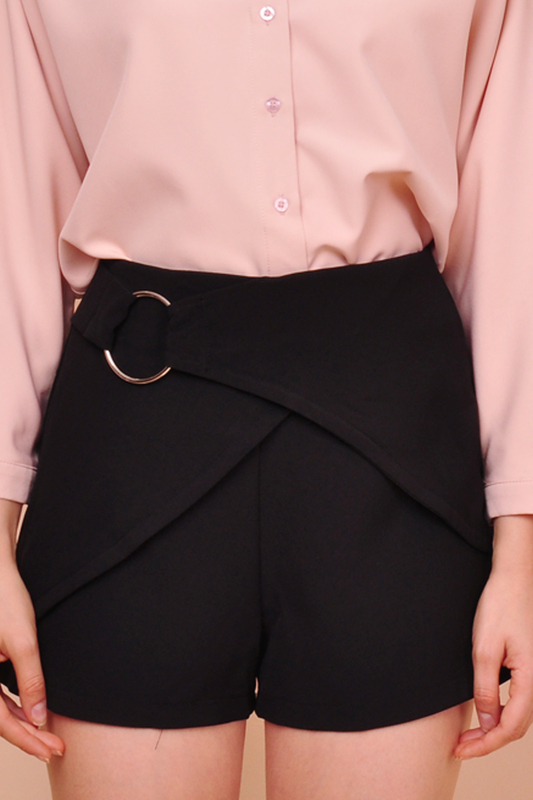 Comfortable and trendy, the Berlyn Ring Buckle Skorts feature an O-ring buckle-like detail at the side for an understated touch of metal, a contemporary overlapping origami design, and finished in an asymmetrical finesse. Pair this up with some loose fit basic tee or shirt for a laid back chic look or with some multi-printed top for a bolder look. This product is also available in Maroon, Midnight. Model N is 1.74m, UK Size 6, wearing size S.